Generator is the Earth energy battery and utilize the electromagnetic energy of the Earth and one's Aura. Crystal define with six equal sides meets perfectly at the apex. Great ally to recharge one's who recover from disease or has been drained or weak. 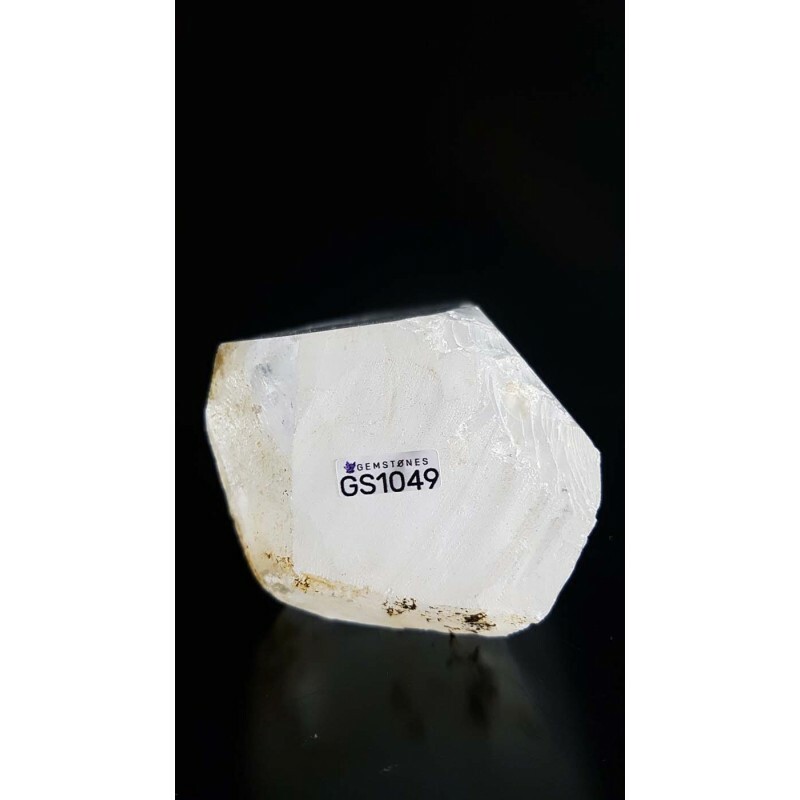 Generator Crystals are powerful to remove negative energy of all kinds and stimulate the natural forces of the environment and neutralize the negative influence of man. Generators are used in the form of radio waves broadcasting Love frequency and assist the planet in shift, human awakening and mass transformation through the electromagnetic field to receive by all beings upon the planet. Healing, Programmability, Protection, Meditation, Amplification of one’s Intentions, Balancing, Calming, Clearing. 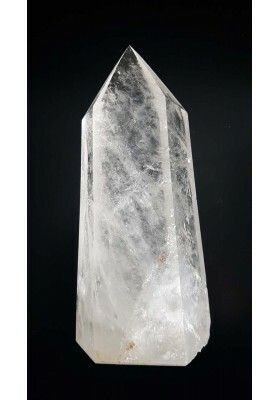 Quartz encourages clarity on all levels. Stimulates and open all Chakras. 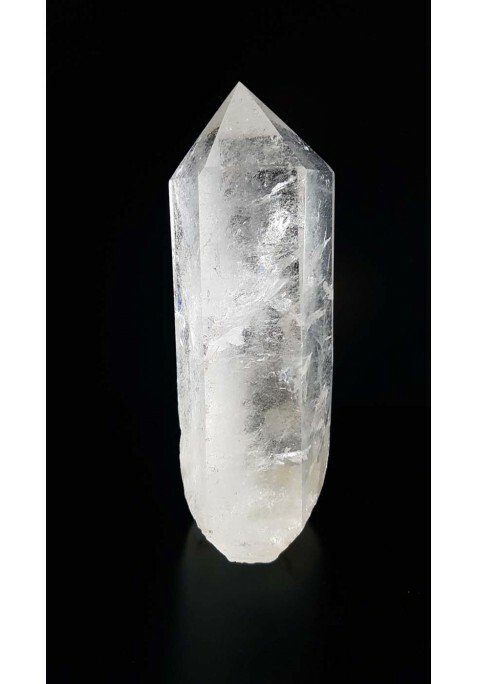 Quartz crystals are found on every continent on Earth and there is tremendous variety of formations. 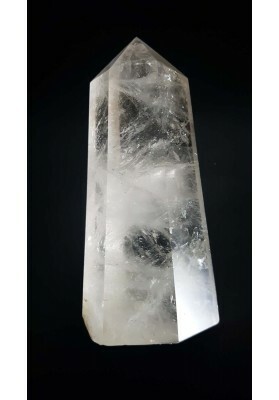 It's has ability to channels Universal energy. 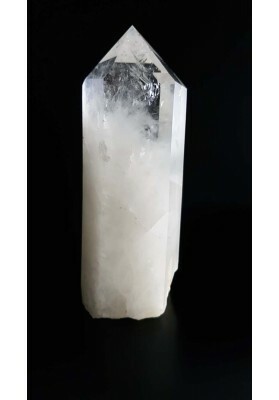 Quartz can be clear or have inclusions, bubbles or colours may be transparent as glass, can be milky or densely clouded. Visual clarity isn't important for energetic quality and capability to enhance subtle energies. 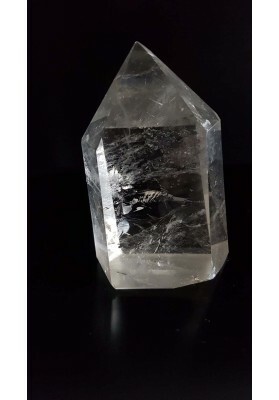 Quartz is a stone of clarity and clears away negative energy. It can be used to purify and clarify on the spiritual, mental, and physical planes. It's great ally in healing and prayer work. It is symbol of purity, clarity, patience and perseverance. 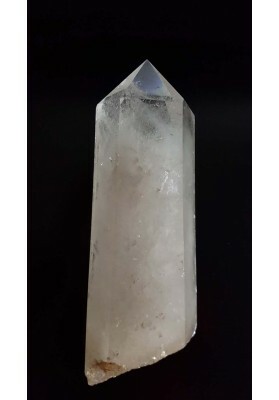 Highly valued by spiritual leaders and healers used for healing any conditions, consciousness expansion, communications with guides, interdimensional travels, attracting and sending love. Crystal of masters, healers and teachers. Indigenous cultures and ancients believed these stones to be living entities and in meditative state can to communicate when an individual is open and ready to receive. It has been used to dissolve negative energy, solve enchantments and spells also its great tool to destroy all black magic. 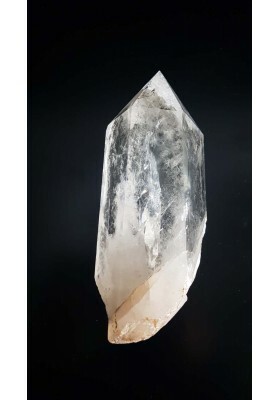 Crystal opens the mind and heart to higher guidance and it helps establish a strong, clear connection to the higher realms. It dispels and erase the harmful effects of radiation and radioactivity protecting the ones aura. 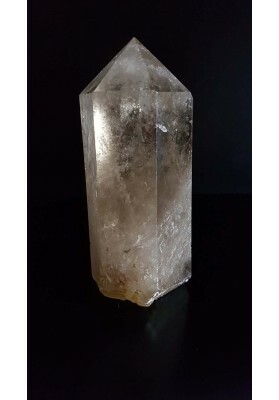 Crystal easily connect with the Earth electromagnetic field and utilize drained energy, recharging and transmit healing Light energy through Earth field. 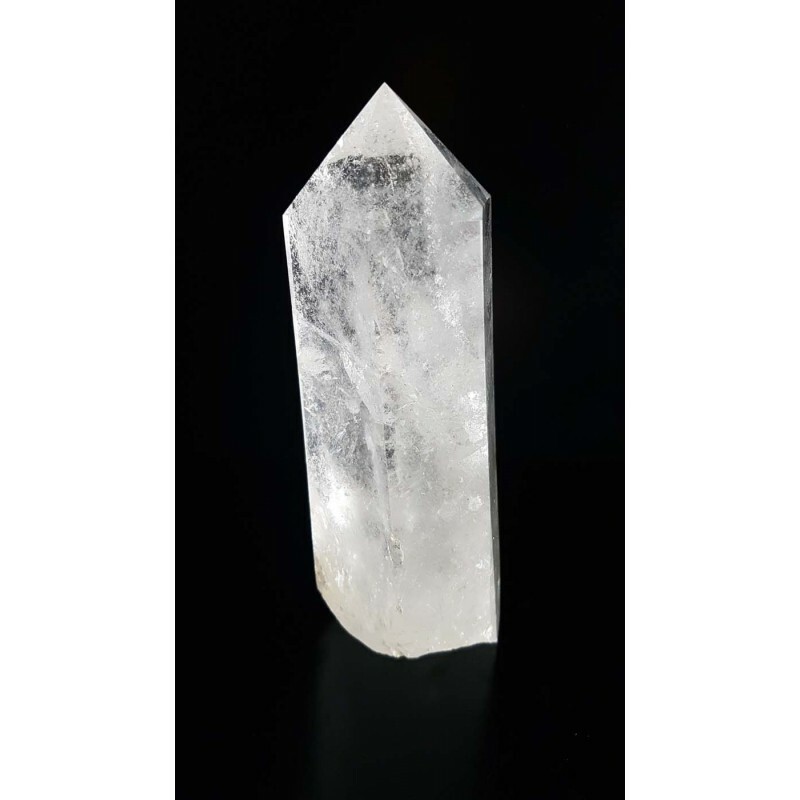 Clear Quartz enhances communication with plants, animals and mineral kingdom. 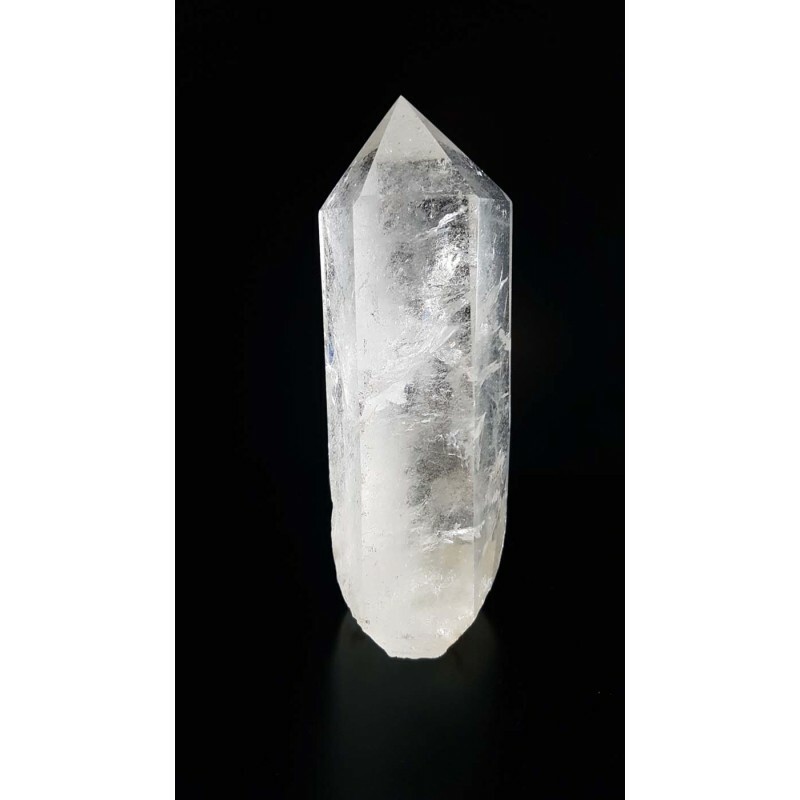 Crystal can be programmed to 'make things happen' by one's focused intention and bring manifestation of one's wish. It's a energy amplification and helps in giving birth to one's dreams and goals through intention and action. 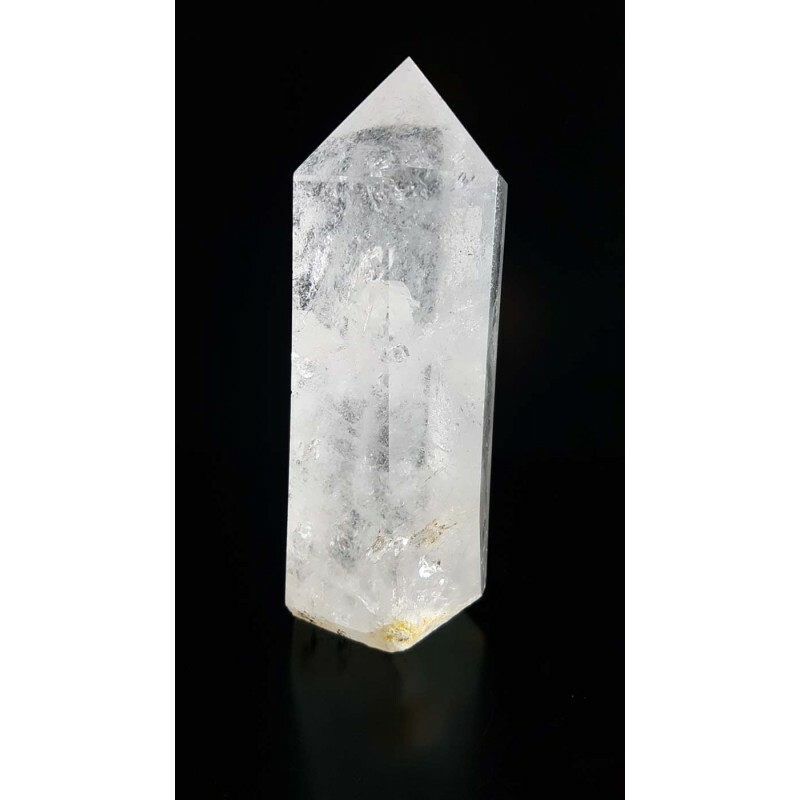 Clear Quartz stimulates and balances immune, nervous and circulatory systems unblocking stasis enhancing vitality and energy. 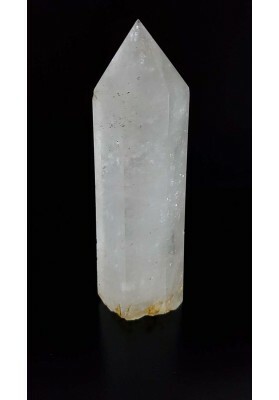 It's a master healing crystal and can be used for any affection or disease. It's great tool get rid of headache or migraines, stabilizing dizziness or motor coordination. Drinking as crystal elixir has been used to dissolve toxins from the body and cure of digestive disorders, vomiting or diarrhea. It's cleanse kidney and bladder infections, and is great for breaking up stones in the body, unblocking urinary system and move the energy from stagnancy. Externally used as tonic is beneficial in treating skin disorders like burns, blistering and soothes injured areas. It has rejuvenating properties, smoothes wrinkles and brightens the skin. 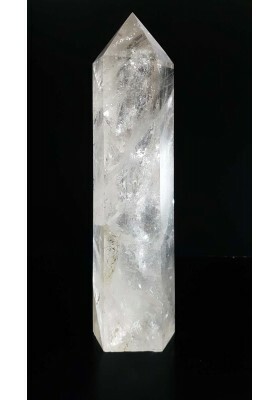 Clear Quartz is a stone of Light, bringing spiritual awareness to whoever wears, carries or meditate with it. 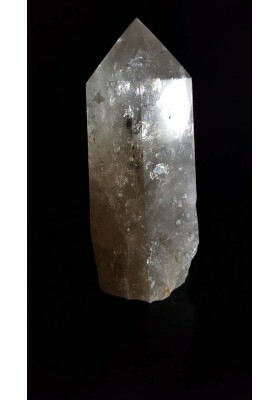 Quartz enhances spiritual growth and wisdom. 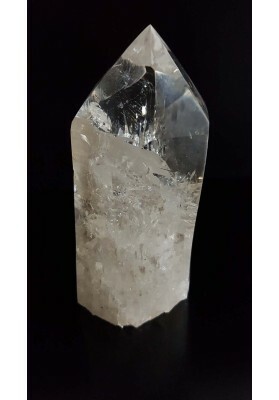 CLEAR QUARTZ CRYSTAL CLUSTERHealing, Programmability, Protection, Meditation, Amplification of one’s Intentions, Balancing, Calming, ClearingQuartz encourages clarity on all levels. Stimulates and open all ChakrasCrystal Cluster they emit peace and unity to friendships, families or groups and surrounding environment. 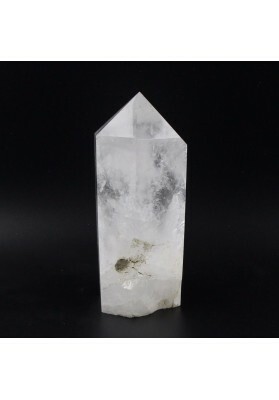 MATERIAL CRYSTAL QUARTZ WEIGHT 790G/ 1.74LB LENGHT 60 MM WIDTH 55 MM HIGHT 156 MM QUARTZ CLEAR CRYSTAL SELF-HEALED Healing, Programmability, Protection, Meditation, Amplification of one’s Intentions, Balancing, Calming, Clearing. 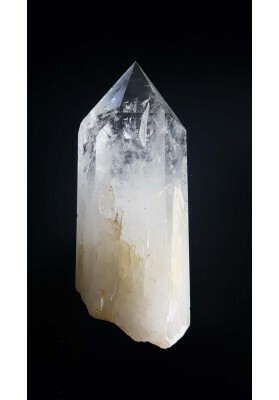 MATERIAL CRYSTAL QUARTZ WEIGHT 5141G/11.33lb LENGHT 105mm WIDTH 56mm HIGHT 350mmQUARTZ CRYSTAL SELF-HEALED POWERFUL HEALING CRYSTAL Healing, Programmability, Protection, Meditation, Amplification of one’s Intentions, Balancing, Calming, Clearing.